No pressure sales! Great salesman, listen to us. 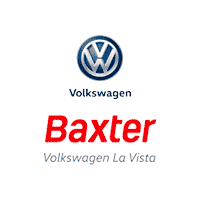 The staff at Baxter VW La Vista was fair and helpful, I'd absolutely purchase from them again. Excellent service, with kind professionals. I just purchased a Certified Pre-Owned vehicle at this location, and I can say it was not nearly as much of a pain to go through the buying process as I expected. The staff were helpful and polite, and the manager didn’t push trying to upsell you on service packages too hard. Be aware that prices are pre-negotiated, so the price listed online is the price you will get. Amazing people! Very pleased with our purchase and our choice of dealerships! We were just there shopping for an SUV. The young salesman was very professional. He pulled the vehicle up to the showroom and offered us a test drive and answered all,of our questions. There was no pressure to buy. We liked the Atlas and might go back and give it serious consideration. Sasha is an amazing person to work with in purchasing a vehicle. She’s trustworthy, honest, patient and knowledgeable. She responded to my every question and need and I highly recommend her! All our experiences at Baxter VW LaVista have been great. The folks are all friendly and don't do hard sell tactics which I really appreciate. We have enjoyed Samuel the salesman and the Service Department has always taken the great care of our vehicle. Baxter LaVista is highly recommended. Mark Austin was fantastic from beginning to end, answering our questions online and following up with phone calls. At the dealership, when we changed our mind about the car we were interested in, Mark found us a certified vehicle that was just right for us, and he worked with us to give us a fair deal with our trade in. He spent four or five hours with us, patiently showing cars, going for test drives, and answering every question. Mark is respectful and listens to your needs. He even gave us a tour of Baxter Volkswagon facilities.